In a partnership between Sudbury Valley Trustees and the Big Sister Association of Greater Boston, Tempe Staples, Regional Conservation Coordinator and I (Land Stewardship Coordinator) ran a workshop for big and little sisters with various interactive activities on environmental science. 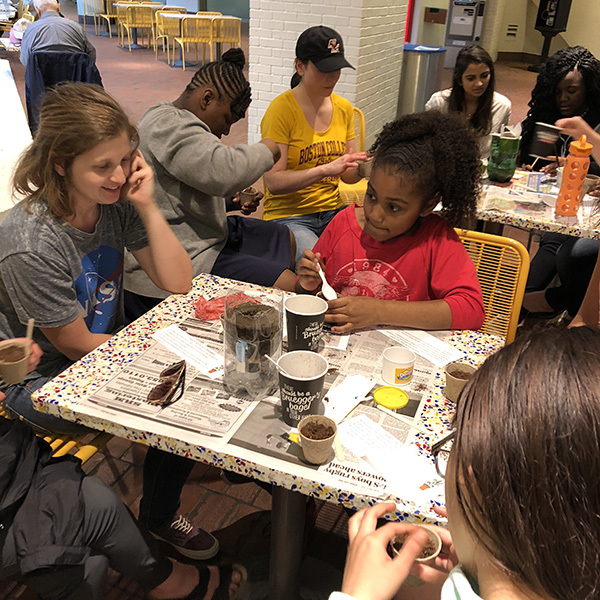 Big and Little sisters played a game to learn about pollinators and their impact on our food system, built model landfills, and planted beans to take home and grow on their own. This is one of several workshops we are running to support girls’ empowerment and help expose youth to hands-on environmental science.